9:30 PM – going “radio silent” for now….Rick Scott seems to be heading to victory in Florida (finger down throat). Georgia is going to be interesting! 9:21 PM – CBS reporting Georgia will “likely go Republican.” I wouldn’t bet the mortgage on that statement. 9:19 PM – Florida Alert: This race continues to be tight. Rick Scott leads by 150,000 but there’s still over 1,000 precincts left to report in. This could end crazier than a Florida-Florida State game. 9:14 PM – The trending in Georgia is getting really screwy. Nathan Deal and David Perdue better not pop corks on the champagne just yet! 9:01 PM – Why do I get this strange feeling both Nathan Deal and David Perdue are going to trip at the finish line?????? 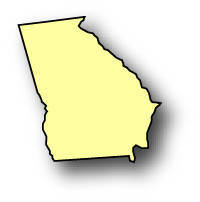 8:57 PM – The Carter surname appears to still have pull in Southwest Georgia!!!! 8:51 PM – Both Nunn and Carter appear to be winning the urban counties and late-reporting precincts…now it gets really interesting! 8:44 PM – Sumter County appears to breaking Democrat – interesting that this county is considered “bellwether” by some for gauging how an election will end up. 8:36 PM – Jason Carter appears to be stealing counties from Nathan Deal along the so-called “Fall Line.” Nunn appears to be doing the same. 8:30 PM – Interesting how the rural areas of Georgia are not 100% going GOP…more interesting is how areas which in the traditionally conservative southwest part of the state are where Michelle Nunn managed most of her steals. It’ll all come down to Savannah and Atlanta. If Nunn wins, it’ll be a HUGE upset!!!! 8:22 PM – Schley County (pronounced “Sligh,” dammit!) is breaking hard GOP! What does mean for the election? Jack…just figured I’d mention it because two of my dearest friends happened to have gone to high school there!!!! 8:18 PM – Jason Carter and Michelle Nunn appear to be closing the gap. Apparently, Joe Maddon is giving them “Small Ball” advice, but will they bolt Georgia for greener pastures with a historic ballpark after team interference? 8:13 PM – The election maps continue to show Nathan Deal and David Perdue winning county-after-county in the rural regions of Georgia. This could end up being like a really bad Bucs game – winning the yardage and turnover battle, but losing at the final buzzer! 7:57 PM – HOLY CRAP ON A CRACKER!!! Florida is a statistical tie for Governor! 7:52 PM: Early and Lumpkin Counties are appearing to break for Michelle Nunn? MUY INTERESANTE!!!! 7:49 PM: Non-Snark Comment – AJC.com is showing Nathan Deal and David Perdue whipping their opponents, but the votes are coming from rural and extreme outlying Atlanta region. Bold prediction: Atlanta will choose the next governor! 7:43 PM: Florida Alert – Charlie Crist just cracked 1,000,000,while Rick Scott is still in the 900,000 range. Wait, are these votes, or last-minute insults? 7:40 PM: The Atlanta Journal-Constitution’s website is showing a 2:1 margin of victory for both Nathan Deal and David Perdue. Call me crazy, but I really don’t think that’s gonna’ hold for long. 7:32 PM: Florida Alert – With 2 of over 5,000 precincts reporting in, we can declare medical marijuana legal in Florida….oh wait, sorry, false alarm….#2000ElectionRedux BWAHAHAHAHA! 7:29 PM: Florida Alert – Charlie Crist’s campaign asks for extended voting hours in (of all places) Broward County. He’s run for governor before and just now thought of this?????? 7:26 PM: Just threw up in my mouth seeing “GOP Hold” in Kentucky. Mitch McConnell managed to con that many Kentucky residents???? Really? 7:25 PM: Switched to Realclearpolitics election results feed because WSB’s is just too damned clunky! I want “at a glance” results, not drop down menus, get it right, Cox! 7:17 PM: Watching the WSB-TV election website and wondering when I get to see Jovita Moore or Justin Farmer be the first to be caught doing the “cheek pop” sound effect on camera. I bet the folks at Fox 5, CBS 46 and 11 Alive are just as enthused.